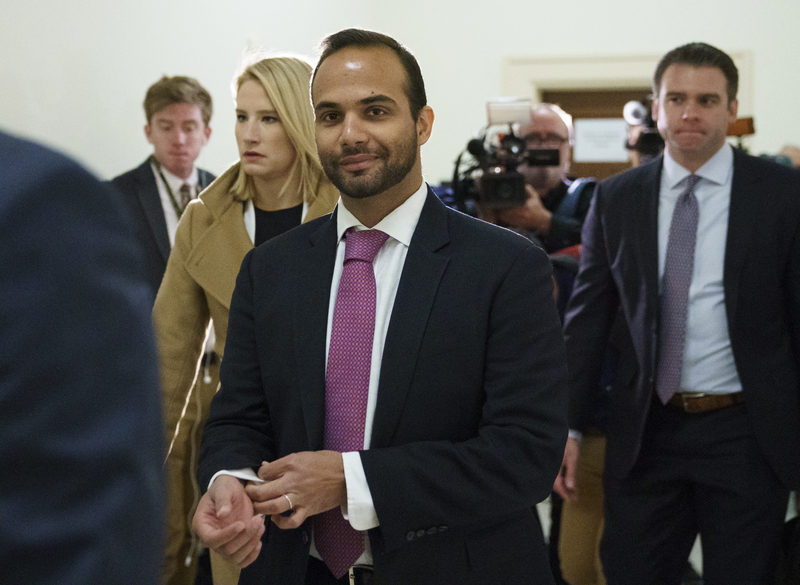 (CN) – Convicted former Trump aide George Papadopoulos was released Friday morning from the federal prison where he served a two-week sentence for lying to investigators probing Russia’s meddling in the 2016 presidential election. Papadopoulos, who had been a foreign policy adviser to President Donald Trump during the campaign, was sentenced to 14 days at the minimum-security facility in Oxford, Wisconsin. In interviews with Special Counsel Robert Mueller’s office last year, Papadopoulos lied about his communications with London-based professor Joseph Mifsud, who claimed to have connections to the Kremlin. Later when Papadopoulos met with the professor, Mifsud related that Kremlin operatives had “dirt” on Trump’s Democratic opponent, Hillary Clinton, including thousands of emails. CaroIine Polisi, an attorney for Papadopoulos at the New York firm Pierce and Bainbridge, declined to comment Friday. Simona Mangiante Papadopoulos, who married George in March of this year, tweeted Thursday about her husband’s expected release. Despite legal troubles, Simona has long defended George. In a December 2017 interview with ABC News she called her husband a “patriot” who was very loyal to his country. Special Counsel’s Mueller’s office also has not returned a request for comment.